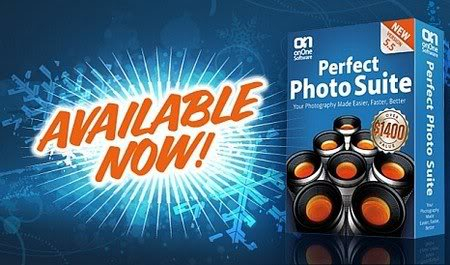 The onOne Perfect Photo Suite 5.5.1 includes six award-winning programs to help solve the six most common problems photographers face in Photoshop. But don't just take our word for it - American Photo Magazine awarded the Plug-in Suite their Editor's Choice award for Top Image Editing Software and the professional photographers who read Studio Photography voted the Perfect Photo Suite the best plug-in for Photoshop in their Reader's Choice Awards. With the Perfect Photo Suite, you get the most recent versions of the individual award-winning products from onOne including Perfect Resize for resizing, Mask Pro for removing unwanted backgrounds, PhotoTune for color correction, FocalPoint for selective focus and PhotoTools and PhotoFrame for amazing photographic effects. PhotoTools Professional Edition is the fastest and easiest way to add a professional look to your photos in Photoshop. You get over 300 professional-grade photographic effects, all wrapped up in an easy-to-use Photoshop plug-in making this the fastest and easiest way to make your photos stand out from the crowd. PhotoFrame Professional Edition features over a thousand design elements like film edges, borders, textures, backgrounds and adornments. It even has complete layouts where you just drop in your image. PhotoFrame Professional Edition is the easiest and fastest way to add an authentic darkroom touch with a film edge or to create beautiful albums or scrapbook pages. It includes all the tools you need to find the perfect design elements, add them to your image and control things like size, color and opacity. You can even stack multiple elements to create your own designs and save them as a preset you can use in a single-click inside of Photoshop, Lightroom or Aperture. You control the focus with FocalPoint. Create realistic selective focus, depth-of-field and vignette effects that tell your viewers exactly where to look. With the intuitive FocusBug controller it is just like using a tilt-shift or selective focus lens right inside of Adobe Photoshop. Great color, it's not as hard as you think. If you can compare images side-by-side and pick the best one, then you can easily color correct and enhance your images with PhotoTune 3. Additionally, PhotoTune 3 improves the color and sharpness of your image without the need to know how to use levels or curves in Photoshop. For removing unwanted backgrounds, Mask Pro is the Photoshop plugin recommended by Advanced Photoshop magazine. Mask Pro allows you to cut out a subject from the background by assigning keep and drop colors and simply painting away the background. Mask Pro makes it easy to create masks, selections and clipping paths on difficult subjects like hair, glass and fog all in real-time. *OpenGL 2.0 Capable video card with 256 MB VRAM at 1280x800 and millions of colors or higher.